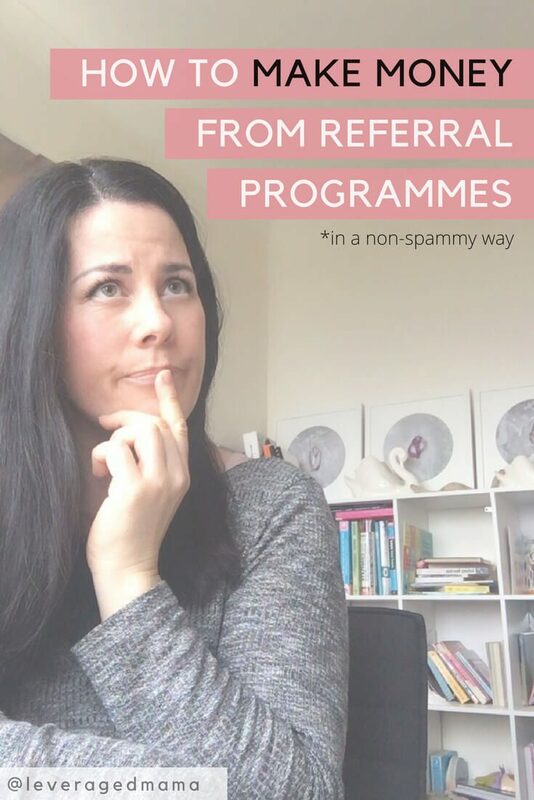 Today I’m going to share with you a wee ‘spend less‘ hack I’ve been using recently, that’s going to show you how to make money from referral programmes. This hack has saved me loads of money so I want to share! That’s a referral link. And I’ve saved hundreds of dollars on my electricity bill because of that there link. Competition is high between service providers (utilities such as electricity), that some of them have referral schemes to keep their customers, and gain new ones. How it works is, you refer a friend to service provider, and you both save money when the friend signs up. This can directly reduce your bill from that provider for the month, with just one successful referral. The beauty of referrals for a service provider, is that people are more likely to sign up via word of mouth, so why spend their marketing dollar on campaigns, when you can spread the good word for them instead? Think about it – when you’re looking for a new [insert product or service here], it’s good to know someone who has personally used it themselves, and recommends it. Wouldn’t it be nice if you found that recommendation AND were given a sign up bonus just for accepting the referral? All you’re doing is recommending a service you already use, so you can pass on the pros and cons of the service directly. It’s not spammy, scammy, underhanded or inethical because the whole process is transparent. Ideally your friend should know that you’re referring them for a bonus, and the best bonus rewards you both. Referral bonuses have been directly reducing my electricity bill this winter. Using the same amount of electricity I always do, I’m still managing to save $50 to $100 a month because of referral bonuses. Here’s how it works for my electricity provider (I’m with Electric Kiwi): if you use this referral link to sign up, we both get $50 off our next electricity bill. But the best thing is, once you’re signed up then you get to refer your friends and family, and save money when they sign up. Like I said earlier, you need to actually use, and recommend the service provider, in order for your friends and family to want to sign up. I rave about Electric Kiwi on Facebook, because I actually do love them. I switched between Electric Kiwi and Flick a number of times before I realised I was saving a lot with Electric Kiwi. It helps when the service provider you’re promoting has cool, innovative features that actually help to save you money. It’s really easy for me, as a customer of Electric Kiwi – to refer them, because they do help me to save money on electricity. With Electric Kiwi you get to choose an off peak hour every day (the Hour of Power or HOP), and in that HOP, all the electricity you use is FREE. Uh huh. So when I recommend them to friends and family, I tell them about the HOP and specifically, how I use it to lower our electricity bills. That’s good word of mouth marketing in my opinion. Does your electricity provider have a referral programme? You don’t need to change electricity providers to make money from referral programmes – maybe your existing provider has a programme in place? Actually have a look at ALL your service providers and see if they have a referral scheme. I don’t advise spamming your friends and family relentlessly with your referral links, but the point of a referral programme is to get you talking that service provider, so you need to start somewhere. Be helpful. Tell them why you recommend them – don’t just ask them to sign up! So yes, there’s money to be saved and money to be made using referral programmes for services you already use, and love. The question is – have you cashed in on that perk yet?! Tell me in the comments! Hi Peti! Well, a timely post as three more people have moved into my house and the power bill has gone up from $6 to $19 a day. Ouch! So if I make a change you can be sure I’ll be using your link. Keep up the great work, loving your work. Smiles. Ruth (aka The Happy Saver). This post is electrifying! I want to save some juice for sure! Awesome tip Peti! I’ll check out if my service providers offer this. I imagine you settled on Electric Kiwi after doing your homework though?! 😉 Are referral schemes similar to promotional voucher codes? Are they the same sort of thing or different? Hey Deb yeah I switched between Flicka and Electric Kiwi and um, (embarrassingly) I made a spreadsheet to compare bills and usage for all seasons – EK worked out cheaper for me as a rule! A promo code sounds like something between a new customer and the service provider, where as a referral bonus rewards an existing customer for brining on a new customer (and them too hopefully)!